Shipboard hardware servicing and repairs can be a tedious and costly process. There are the complex logistics of arranging a service call and discovering a professionally certified engineer – once in a while from a secluded port. At that point there is the issue of whether the engineers have the compatible spares in stock and can finish the service so as to meet up with the ship's seafaring calendar. Presently, there is a method to minimize time and budget, while reducing setbacks, on account of the new SoftWare Advanced Protection (SWAP) solution developed by Danelec. With SWAP technologyTM, all framework programming and configuration, in addition to programming information, is naturally stored on a hot-changeable memory card which can without any problem be retrieved from the old unit and embedded into the new Danelec unit. Moving the repair from vessel to shore spares many hours in re-installing programs and re-programming the component. Danelec's SWAP technologyTM is completely progressive, and our worldwide system and round the clock service implies that technicians are minutes away – with the parts you require. The whole process is finished in one service call within a couple of hours. An Electronic Chart Display and Information System (ECDIS) is a PC oriented navigation framework employed as a distinct option for paper navigation charts. Incorporating an assortment of real-time data, it is a computerized deci­sion maker, with the ability to consistently decide a ship's position in relation to land, mapped items, navigation support and undetected risks. The ECDIS incorporates electronic navigational charts (ENC) and coordinates data from the Global Position­ing System (GPS), gyro, speed log and conceivably additional navigational sensors, for example, fathometer, radar and automatic identification systems (AIS). The Danelec Marine ECDIS range is built in light of important input from vessel owners and long time clients of ECDIS products. Motivated by client needs, the modern Danelec Marine ECDIS range is built to attain the particular prerequisites of the sea trade. By acquiring exact data regarding the position of the vessel, the ECDIS can assist with making navigation effortless and considerably enhances safety at sea. The framework incorporates natural course-plotting capabilities, guaranteeing ideal navigation courses, which as well can prompt fuel conservation. Various screen sizes (19'', 24'', and 27’’) obtainable! Products of Danelec Marine ECDIS are of excellent class in terms of ease of use and are the toughest ECDIS items on the market. 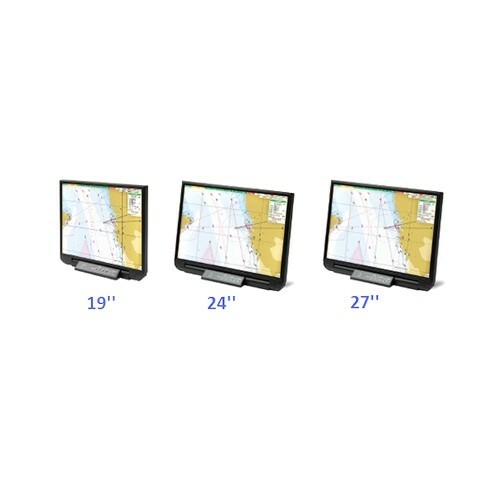 Products of Danelec Marine ECDIS offer the expert sailor an efficient navigation framework with crucial cruise information. The electronic ocean chart arrangements are to a great degree useful and easy to use, and meet the expanding requests for both secure enhancement and safety, while enhancing and reducing work on the bridge. Danelec Marine ECDIS solution favors distribution of charts in both ENC and SENC configuration. Danelec provides ECDIS type particular training both as classroom training and as computer based training (CBT). ECDIS type particular classroom training is provided in every single major business sector by qualified training organizations. Kindly visit our site for further details. 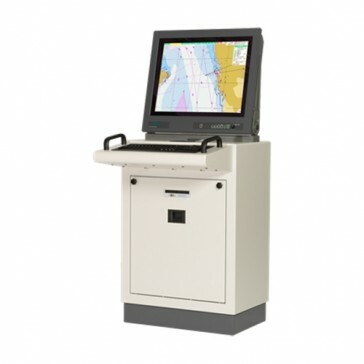 ECDIS PC based training is obtainable by all clients. Training can be held offline and doesn't warrant Internet access. Kindly discuss with your supplier for more details.